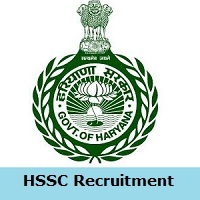 1.9 How To Apply For HSSC Recruitment 2019? HSSC Recruitment 2019: Good News For the candidates who are searching for Government Jobs. Yes, the Haryana Staff Selection Commission had released Recruitment 2019 For Canal Patwari and Gram Sachiv Posts. Applicants who are interested to work in Haryana, they can read the information completely and then apply for HSSC Notification 2019 through the online process. Interested aspirants can apply for Haryana SSC Jobs 2019 from 21st March 2019 to 23rd April 2019. Candidates can get more information about HSSC Recruitment 2019 Notification such as eligibility criteria, salary details, selection process, post-wise vacancies, important dates, application fee, and simple set of instructions to download the Notification from this article. Candidates, who are ready to apply for HSSC Recruitment 2019 notification can also check the educational qualifications for Canal Patwari and Gram Sachiv Posts. (i) Matriculationororitsequivalent.But preference shall be given to candidates possessing a higher qualification. (ii) Hindi / Sanskrit up -to Matric standard or higher education. Applicants, who are eligible this HSSC Recruitment 2019 Notification then see all information about the notification in the official website that iswww.hssc.gov.in.In the below sections, candidates can get the post-wise vacancies for HSSC Recruitment 2019. The higher authorities of the Haryana Staff Selection Commission (HSSC) had provided the Selection Process For Jobs 2019. Every Candidate, who had applied for the Canal Patwari and Gram Sachiv Posts, they must and should have to attend for the selection process. Applicants who had performed well in the entire selection process, they will be part of the HSSC Recruitment 2019 And, you can see the more information for the selection process you can see the official website that is www.hssc.gov.in. The prescribed essential qualification does not entitle a candidate to be called for an interview. The commission will shortlist the candidates for interview by holding a written examination. The decision of the Commission in all matters relating to acceptance or rejection of an application, eligibility/suitability of the candidates, mode of, and criteria for selection etc. will be final and binding on the candidates.No inquiry or correspondence will be entertained in this regard. For all selected candidates, can have the hand full pay scale for these posts. Competitors can visit the official website of the Haryana Staff Selection Commission (HSSC) that is www.hssc.gov.in. In that, you can see the more features, then go to the recruitment section. And you can see the process property on that page. Then search for the flashing link of HSSC Recruitment 2019. Read the complete HSSC Recruitment 2019 notification carefully. After reading the entire notification, if you are eligible then apply for the Recruitment 2019. Then fill the details in HSSC Recruitment 2019 application form correctly. Take two or more copies of HSSC Recruitment 2019 application form for future reference. Our team Sarkari Naukri had given the complete and genuine details regarding the HSSC Recruitment 2019 which is useful for everyone to apply for the notification. Candidates can bookmark our site by clicking Ctrl+D, and they can also share this information with their friends also. Applicants have any questions, then they can leave us a comment in the below section. And you can also check all the information about Government Jobs, Admit Cards, Previous Papers, Results, Others from our webportal. Thank You.